As a consumer, it can be hard to know how much different health care services and procedures usually cost. Even if you get an estimate from your doctor and insurance company, what can you compare it to? That’s why the Texas Department of Insurance put together this healthcare costs consumer information guide. Using common medical procedures, you can compare both in-network and out-of-network claims data. You can also see the average costs for different regions in Texas. The information used in this guide is based on claims data from 2017. 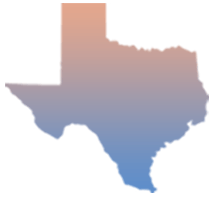 To use this tool, you will need to know the Texas ZIP code where your medical procedure takes place.